I've heard grumbling from some (non-beauty lovers, for the most part) that they just don't understand BB cream and that CC cream was something made up by 'the man' to sell more product. These are the type of conversations where I just bit my tongue. There is in fact a difference between BB cream and CC cream (as I'm sure you know) and CC cream is in fact it's own product. 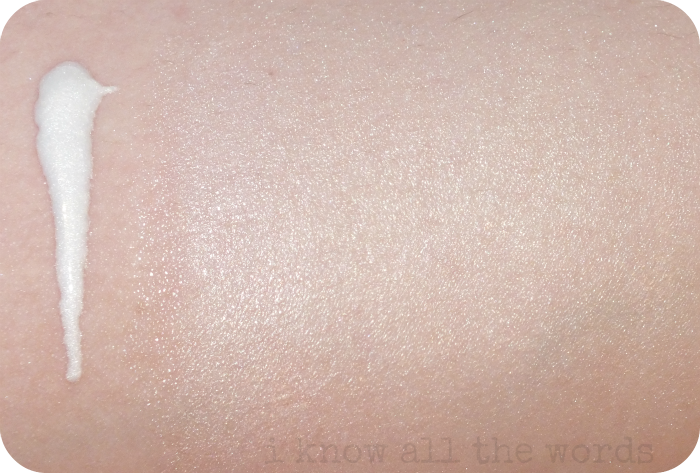 While I've explored the world of traditional Asian BB creams, CC creams are harder to find. 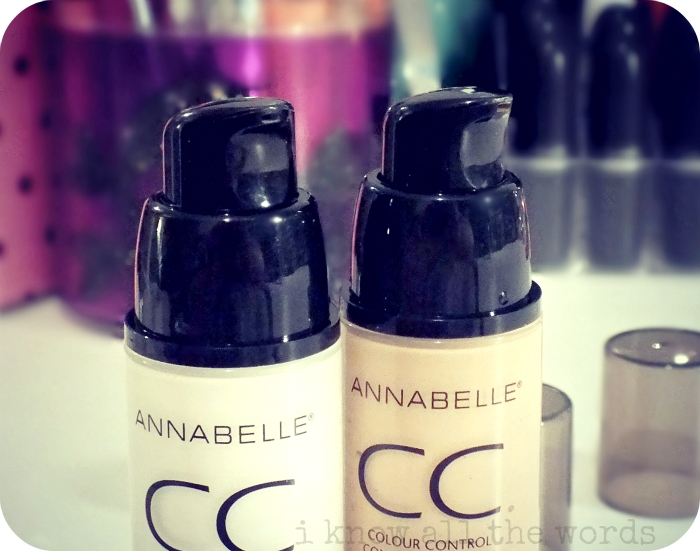 That said, I was really excited when I found out a North American CC cream was going to be released. Yay! Not only a North American brand, but a Canadian brand at that! Exciting times we're living in people. Exciting times. While BB cream (blemish or beauty balm) can be thought of as skincare infused foundation, CC cream (colour control) is like the primer. It works to correct skin tone imperfections, minor skin imperfections like fine lines and enlarged pores and primes skin for makeup. Not too shabby right? I have to start with packaging- I love how Annabelle packaged this. The bottle is heavy plastic, with a plastic cap and pump. Oh, the glorious pump! You all know you love them too. A couple pumps (usually two is plenty with this) and you're all set. Clean and easy. You can tell that the product pumps up from the bottom. I kind of love products that dispense like that because I have an odd obsession about be able to see how much product I've used. Odd? Slightly. There are two finishes available- Luminous and Natural. Clearly I couldn't decide which one I wanted more and opted for both. The Luminous version has a glowing quality to it that brightens dull skin nicely without being shimmery. I did initially wonder if it would be too shimmery or just too... too, but applied before BB cream or foundation - I actually like using the luminous version with light coverage products so I'm not completely masking the CC cream, it gives just a hint of radiance with a natural look. Nothing obviously shimmery. The Natural finish is just that- natural. 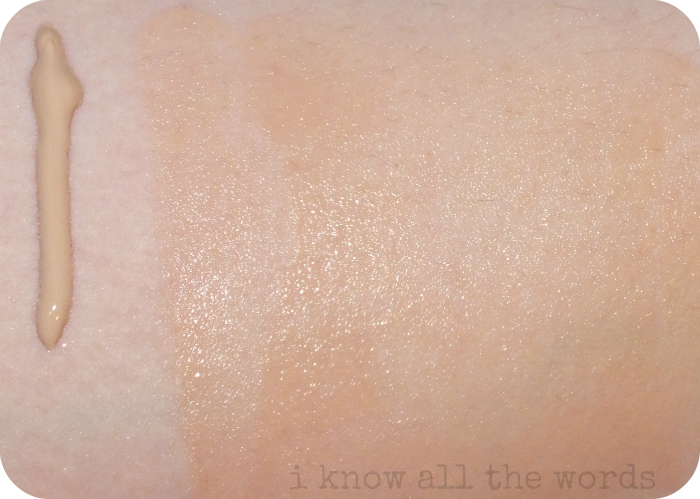 This only comes in one shade, which will suit the fair through to medium deep, but likely not the deeper skin tones. The shade is almost indiscernible once blended onto skin, but it does have the slightest amount of coverage to reduce redness and slightly blur imperfections. While both finishes give the skin an amazingly soft feel, and prep skin wonderfully for foundation/BB cream, the natural finish gives you the most in terms of redness reduction and overall coverage. The luminous version provides more in the brightening department. I find don't find that these really make all that much of a difference in how my base wears over the course of the day, but it does aid in application, as I mentioned these do make skin feel pretty amazing. As a primer, these do prevent my base from sticking in dry spots and helps to prevent my base from sinking into my pores in my problem areas. Overall, I am really happy with these. I have been getting the most use of the luminous version as I am prone to dull skin and it really gives my skin a boost. 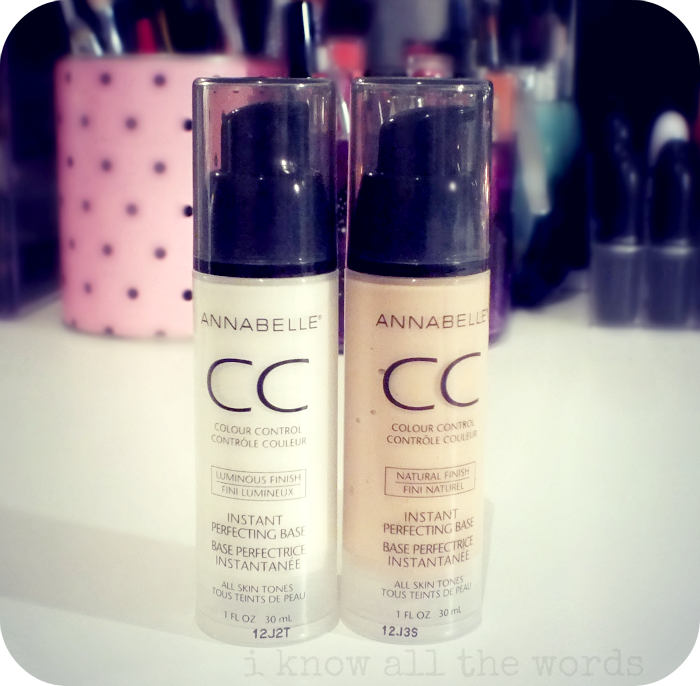 As I mentioned, Annabelle is a Canadian brand, and as such is only available at Canadian retailers. BUT while I was browsing the Annabelle site, I did discover that American orders can be made via email. For more information see here. 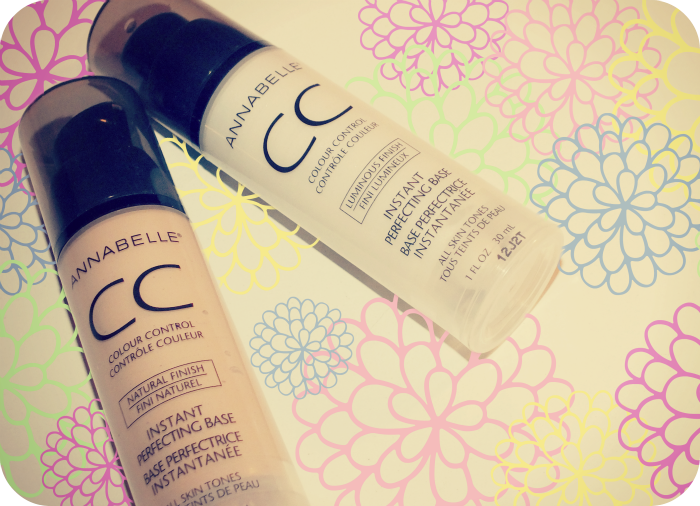 Have you tried CC cream yet? Thoughts?